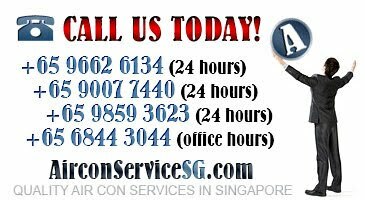 Aircon Singapore: What Are The Health Effects Of Haze in Singapore? 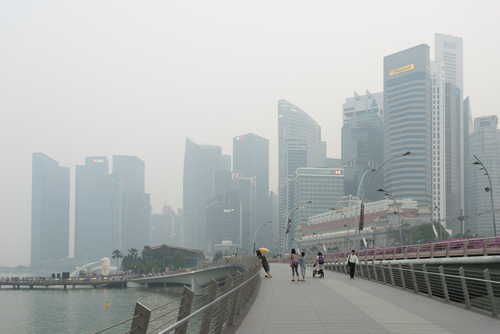 What Are The Health Effects Of Haze in Singapore? Singapore is not considered to have its own climate cycle. It does not enjoy the four basic seasons in extremities. However, people often joke about the cities having their own four seasons, namely hot, flood, wet and haze. While flood is only localized to some parts of the island, you can not escape the haze when it hits hard. Haze problems in Singapore are mostly caused by winds which bring in smoke from forest fires in Sumatra. Most of the time, this occurs during the period between May and October. According to authorities in the Southeast Asia region, there have been many efforts to combat this problem, and make sure it does not cause any harm to humans and the environment. However, for the time being, it seems haze will remain an annual event for some time in the future. 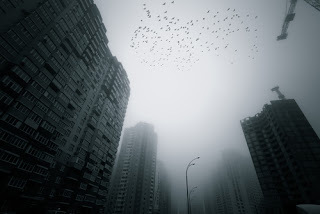 In simple terms, it is a basic atmospheric condition where smoke, particles, moisture and dust remain suspended in the air and obscure visibility. Some common sources of this problem include industrial activities, power plants, farming practices and traffic. Increasing pollution has been one of the major causes of this problem in Singapore. When it comes to healthy individuals, relatively short term exposure or persistent exposure to unhealthy average PSI levels over a short period can cause some mild side effects. Exposure to high levels may be more serious, and cause irritation of the nose, throat and eyes. In most cases, such irritation easily resolve on its own. Haze particles can easily affect the lungs and heart, especially in individuals who’re already suffering from a chronic lung disease or heart condition. Some of these conditions may include chronic obstructive pulmonary disease, heart failure or asthma. Before you experience any symptoms because of exposure, you may have to wait for about 1-3 days. It is important to understand that most Southeast Asian countries are not affected by haze throughout the year. Singapore is one of them. Therefore, any exposure to particles is short term in nature. In other words, continuous exposure to unhealthy average PSI levels over a few days is always considered to be short term exposure in Singapore. However, it may vary from one year to another. When it comes to International studies, long term exposure to air pollution can not be discussed without comprehensive data and long term effects to exposure. Some of the data obtained from these studies has been discussed below. According to Studies, people living overseas experiencing continuous exposure over several years to high air pollution from fine particles may have a higher risk of cardiovascular problems like heart attacks. In addition to this, they may also experience the development of some chronic respiratory diseases like asthma, and reduced lung development. Experts believe that dangerous levels are reached when particulate matter smaller than 2.5 micrometres is persistently inhaled over a period of few months. Which Groups of People are More Sensitive? According to most studies and researches, elderly, children and people suffering from heart disease or chronic lung disease are more sensitive to short term health effects of haze. As a result, these people should adopt certain preventive measures in the health advisory issued by the Ministry of Health. This advisory offers some solutions to tackle the poor air quality. People who’re more prone to being affected by haze should also consult their doctors. In case you experience breathing difficulties, you should consult a medical professional immediately. In addition to this, it is also advised that pregnant women have reduced exposure to haze. It prevents the health of the unborn baby. The various health effects of this problem are dependent on a person’s health status, preexisting medical conditions, the PSI level, intensity of outdoor activity and duration of activity. There are also some other factors which affect the sensitivity to haze. Reducing the physical exertion and outdoor activities can easily help limit the severe effects of haze exposure. People who’re suffering from an illness or not feeling too well, especially the children and elderly should seek medical attention. Although most people don’t realize it, haze can cause some serious health problems. Therefore, it is important to take necessary precautions and protect yourself from the ill effects.